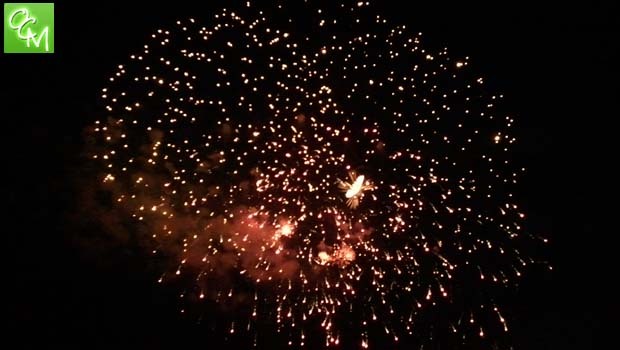 Macomb County Fireworks 2019 – Fireworks schedule for Macomb County Michigan. Fireworks shows info for Stony Creek, USBPL Jimmy John’s Field Fireworks, and other Macomb County MI fireworks displays. This Macomb County Fireworks 2019 page is intended to be used as a guide. Oakland County Moms does not endorse these events. Oakland County Moms is not responsible for changes to event descriptions, event times or details being altered without notice or cancellations. Fireworks close out the annual Independence Fest which features crafts, live music, food, a beer tent, carnival, and more. For details, visit centerlinefestival.org. Self-proclaimed “largest fireworks show in Macomb County”. The fireworks will be launched at Dusk (approximately 10p), immediately following the Bud Light Riversight & Sound Concert. Prime viewing is located throughout Downtown Mount Clemens with the fireworks being launched from the City Hall parking lot on First Street. NB Gratiot Ave, and the Crocker and Dickinson bridges are closed to vehicle traffic at approximately 7p. For more info, please call the Mt Clemens DDA at 586-469-4168. Plan to arrive early for these popular fireworks events. $15 special event daily vehicle permit required after 5p. A Metroparks vehicle permit is required to enter any Metropark and is only $35 annually for regular admission, $21 annually for seniors or $10 daily. Visit www.metroparks.com or call 586-781-4242 for more info. Fireworks close out Saturday night of the August 24-27 Warren Birthday Bash. Warren Birthday Bash features live concerts, artists, laser light show on Saturday, and a carnival all weekend long. Hours are 4-10p Th & Fr, Noon-11p SA, and Noon-10p SU. Fireworks at 10p on Fri. For more info, call 586-268-8400 or visit www.cityofwarren.org. Children’s New Year’s Eve in Never Never Land runs from 4p until 9p. With an early start time, families can enjoy New Year’s Eve festivities including a ball drop and fireworks just for the kids at 9p. The countdown for the adult party (New Year’s Eve Gala) and fireworks begin at midnight. All research and formatting for this Macomb County Fireworks 2019 page provided by Oakland County Moms. Unauthorized duplication of this content without express consent is a violation of our Terms and Conditions and Data Security policies. Violators will be reported to Google Support for infringement violation of our hard work and research. More Macomb County Fireworks 2019 info coming soon as more 2019 fireworks info is released!